Theresa Bowman has developed her international arbitration and litigation practices in the areas of commercial disputes and obtaining jurisdiction over, and discovery from, foreign sovereigns and transnational corporate entities. Ms. 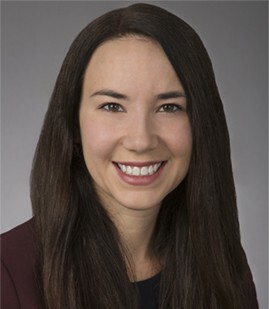 Bowman has briefed issues of foreign sovereign immunity before both the United States Court of Appeals for the Second Circuit and the District of Columbia. She has navigated all aspects of complex litigation against many foreign sovereign and multi-national entities in a wide variety of subject areas. With a background in Journalism as well as legal, political and investigative reporting for a major broadcast network affiliate, Ms. Bowman offers an advanced and unique approach to effective research and case development techniques in complex litigation matters. Ms. Bowman has traveled all over the world to meet and work with clients, fact witnesses and expert witnesses. She utilizes strong multi-lingual oral communication and writing skills to advocate successfully for clients. Ms. Bowman is also active in the legal community, serving as the current President of the Board of Directors of the George Washington Law School Alumni Association. In the past she has served as a co-chair of the Litigation Law Forum of the District of Columbia Women’s Bar Association, and as the past President of the Student Bar Association of the George Washington Law School. Ms. Bowman has also been published in the International Society of Law’s International Legal Materials as well as the World Financial Review. Representing the victims of a commercial airplane hijacking (June 1985) and hostage-taking seeking compensation from Iran under the Foreign Sovereign Immunities Act Terrorism Exception. This matter involves litigation and briefing of all aspects of the FSIA’s Terrorism statute including obtaining jurisdiction over a sovereign state sponsor of terrorism. Representation of a U.S. citizen in a Foreign Sovereign Immunities Act case seeking compensation for the expropriation of her family estate in the former East Germany connected to events in the aftermath of WWII. Currently on appeal before the U.S. Court of Appeals for the District of Columbia, this case presents significant questions regarding immunity for sovereigns and their agents and instrumentalities under the Expropriation Exception of the Foreign Sovereign Immunities Act. Drafted multiple Appellate briefings in litigation for US investors to obtain enforcement of a $200 million RICO judgment against a foreign sovereign, several government officials, and its alter ego and successor-in-interest sovereign-owned entities. The matter involved litigation of Foreign Sovereign Immunities Act (“FSIA”), post-judgment enforcement exceptions for commercial activity, waiver and takings. Facilitated proceedings for US judgment debtor to obtain enforcement of a multi-million dollar judgment entered against a foreign sovereign. The enforcement proceedings specifically focused on the breadth of discovery and contempt power that Courts may properly exercise over foreign sovereigns. Worked to obtain domestic recognition and default judgment through the New York Convention of Foreign Arbitral Awards, on the basis of an arbitration award obtained by a leading European biotechnology research non-profit against a US-based, non-profit global medical research consortium. Collaborated with a team of partners and associates to conduct ICC arbitration on behalf of Claimant for contractual and non-contractual claims reaching over $100 million, including lost profits, arising out of a pharmaceutical joint venture in the Middle East. Worked to obtain favorable allocation of fees in UNCITRAL arbitration for Claimant, an African subsidiary of a large international risk management and security consulting company, in multi-million dollar breach of contract claim against several international oil and gas companies. Acted as Defense Counsel for a large Canadian telecommunications firm, obtaining dismissal of a consumer tort lawsuit on the basis of jurisdictional deficiencies. Consulted a private individual in FSIA litigation over claims against a European museum for the return of artwork stolen during the Nazi regime. Counseled a US company in litigation against several Central American companies for breach of contract. Successfully obtained judgment after navigating the Hague Convention On Service Abroad of Judicial and Extrajudicial Documents in Civil or Commercial Matters. Counseled a US construction company in breach of contract dispute against nation-wide organization with no formal corporate identity. Litigation involved the use of multiple alter egos and shell corporations related to non-existent entities.